I have been so busy lately that I can’t seem to remember to take everything with me when we hop in the car. 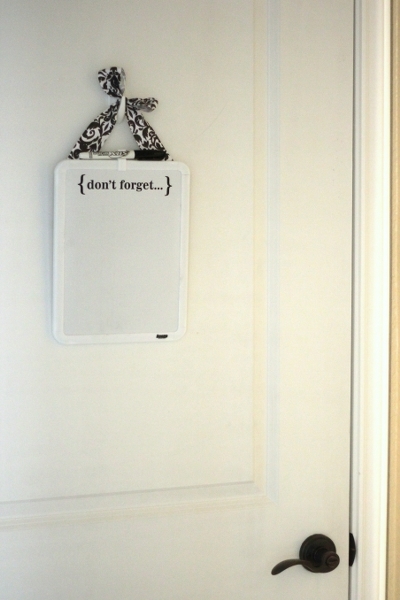 This dry erase board has come in so handy. 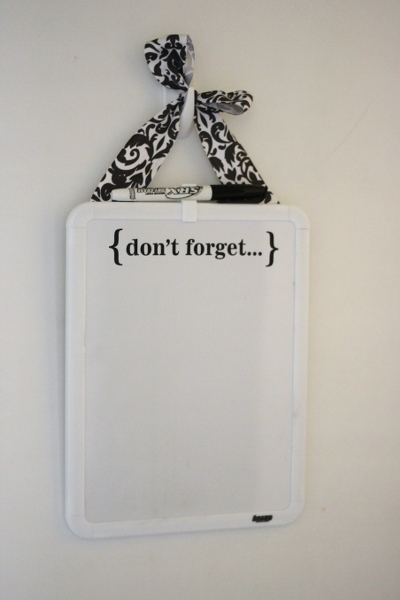 I added a little vinyl lettering and attached a ribbon to dress up a plain dry erase board. 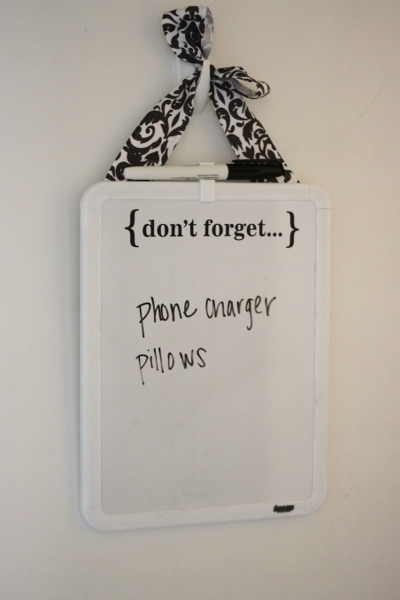 It hangs on our door to the garage.